This entry was posted in Uncategorized on July 27, 2015 by Jodi Mackay. 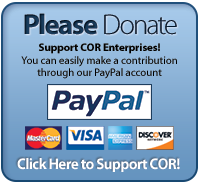 The Lahey, COR Enterprises and RSS families have lost a very important person. We will miss your smile and laugh, Jim. Please keep Jim's family and friends in your thoughts and prayers. This entry was posted in Uncategorized on July 20, 2015 by Jodi Mackay. This entry was posted in Uncategorized on July 13, 2015 by Jodi Mackay. 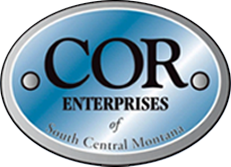 Please come by COR Enterprises (2121 Lampman Drive) this Thursday and Friday (7/9 & 10) between 8 am and noon. We're clearing out our warehouse. No reasonable offers will be refused. Take a look at a few of the items we'll have available. This entry was posted in Uncategorized on July 8, 2015 by Jodi Mackay. This entry was posted in Uncategorized on July 7, 2015 by Jodi Mackay.